A new study by Gartner has revealed amazing insights into the future of Internet of Things landscape: by 2020, around 26 billion units would be interconnected with one another, collectively generating business value of around $1.9 trillion. The study says that around the same time in 2020, the number of smartphones, tablets and PCs in use will reach only 7.3 billion units, which is almost one-third of all connected devices. This means that the next computing revolution is not happening in the usual PC/smartphone/tablet market but in other sectors such as health, insurance, household appliances and automobiles niche. This marks a 30-fold increase in number of devices connected globally; in the year 2009, there were only 900 million devices connected on the Internet of Things platform. In terms of services, Internet of Things can collectively generate business worth $300 billion by 2022, which is simply staggering value. As of now, the verticals which are leading the Internet of Things wave are: Manufacturing, which represents 15% of all connected devices, healthcare at 15% and Insurance at 11%. Will this be the new dawn of technology? 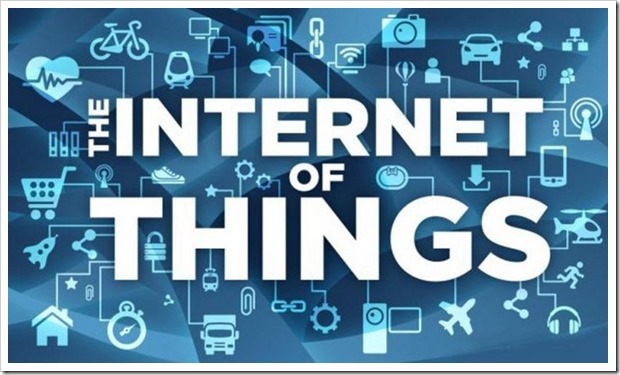 The term Internet of Things was devised by Kevin Ashton from Massachusetts Institute of Technology in 1999; which basically means a world where inter-connected devices exist and they are intelligent enough to make decisions on their own. In the scheme of Internet of Things, all devices are wirelessly connected with each other, sharing top level information and data and making decisions based on them. Earlier, it was assumed that only Radio-Frequency Identification can bind all these devices scattered around the world. But soon technologies such as “near field communication”, barcodes, QR codes and digital water-marking were introduced to ‘tag’ the devices and make them part of Internet of Things. When inter-connected devices, which are capable of making smart decisions, start communicating with one another, then amazing things can happen. A plot resembling straight out of a science fiction movie, something similar can happen very soon: Imagine that you own an alarm clock which is part of Internet of Things, which in turn in connected with other devices. You have set the alarm for morning 8.00 AM as you need to go for a meeting at your office. Suddenly, alarm clock receives notification that the meeting has been postponed for 45 minutes. This can trigger several important decisions which can save you time. The car automatically switches on (being intelligent) before arriving so that the ice melts away and the engine becomes normal. This process will be delayed by 45 minutes as well. The coffee-maker will start itself 45 minutes late as the message from the alarm clock will delay the coffee-time. Imagine there is an accident on the highway and the road is blocked. This information would be conveyed to the alarm clock, the car, and the coffee-maker to plan out things accordingly. In fact, there are already startups which are working on the Internet of Things concept, and bringing in amazing results. There is a startup called Sparked based in The Netherlands which has installed sensors on cows. Now whenever a cow is sick or not feeling good, it sends a message to the farmer. On an average, each cow sends 200 MB of data to the farmer, every year! Those who are into the electronics and gadgets business, this opens up an exciting opportunity to capitalize and scale; the future of technology is interconnected devices, which are smart. Top 5 IoT Trends That Small and Medium-Sized Businesses Can Leverage! Congrats Hyderabad! You Are The Only City In India To Get 1 Gbps Broadband Speed!